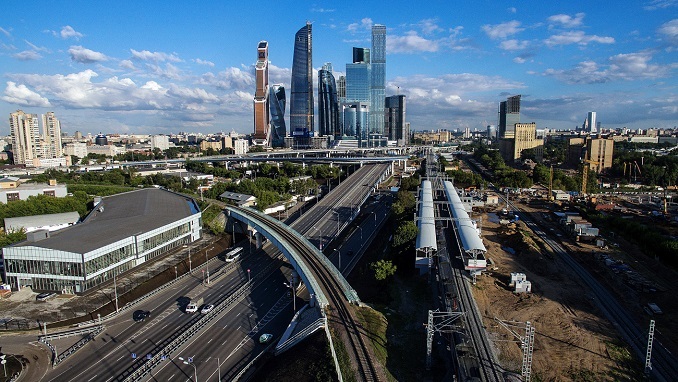 A $96 billion modernization of Russia’s highways, airports, railways, ports and other transport infrastructure until 2024 has been gaining steam, The Moscow Times reports. The six-year comprehensive plan is geared toward improving the connectivity of Russia’s regions, as well as developing strategic routes including the Europe-Western China transport corridor and the Northern Sea Route, the news outlet writes. The plan stems from President Vladimir Putin’s ambitious domestic goals outlined after his inauguration last May, known as the May Decree. Under the decree, a 3.5 trillion ruble investment fund was set up last summer to finance around 170 construction and other projects from 2019 to 2024. Economists interviewed by The Christian Science Monitor have said the revitalization plans are geared toward boosting the export potential of the big business and are ill-equipped toward future economic development. One of the massive infrastructure projects is the Moscow-Nizhny Novgorod high-speed railway. Prime Minister Dmitry Medvedev has signed off on the project, which would transport passengers over 400 kilometers from the Russian capital to Nizhny Novgorod in about two hours, Interfax reported. The plan awaits President Putin’s approval. The railway’s $9.5 billion price tag could balloon nearly threefold if the government decides to press ahead with the once highly touted Moscow-Kazan high-speed railway that Russia hoped China would invest in as part of a future Moscow-Beijing route. Putin’s approval of the project hinges on the ability to find domestic contractors to make sure the invested money stays in Russia, Vedomosti reported, citing three unnamed sources involved in the negotiations. Meanwhile, two unnamed government officials told RBC that the Finance Ministry has offered to divert $1.7 billion from the project toward a shipping terminal for the privately owned gas giant Novatek’s $25.5 billion Arctic LNG 2 liquefied natural gas project.